I know 2 people that bought these recently and both are speaking favorably about their experience. GC has them at $999 but MF is pre-ordering for $850. Probably a good deal if anyone is looking. As of a couple weeks ago, I added a Les Paul BFG with P90s to my Gibson arsenal. BFG stands for "barely finished guitar" and I can believe it -- it's pretty rough. 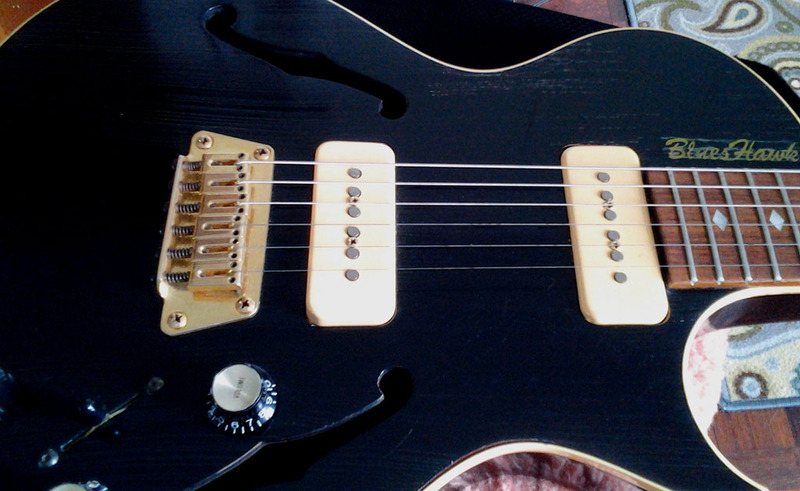 But it's a great player and it has that great P90 sound.